While perusing the web this afternoon I came upon a fabulously tacky website. At fredflare.com you can pick out all sorts of fun and funky (and exceedingly tacky) clothes and accessories. 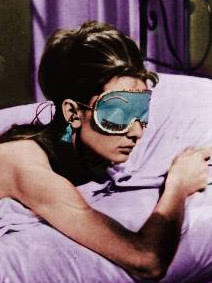 My favorite is this darling Holly Golightly sleep mask - a perfect replica of the sleep mask worn by Holly Golightly herself (satin lined with elegant trim and terry backing). There is a homegoods section that sells a variety of useless items such as the solar-powered rainbow maker and the heart-shaped egg mold. The website also carries a number of books and stationary that are well worth a look. I love the scratch n sniff cards from Jack and Lulu and the Andy Warhol: fashion book, featuring Warhol paintings for the likes of Mademoiselle and Glamour. So fun. So tacky! Enjoy! I was walking down the street like on any normal day when a woman with big curly hair and movie star sunglasses grabbed my arm (she actually laid hands on me and pulled me towards her) and exclaimed, "I love your necklace!" Then she let me go. I laughed nervously and thanked her, half-wishing I had some business cards to hand her (half-glad I didn't in case she was stalker-ish.) While rubbing my bruised arm, I got to thinking today how nice it would be if we all had someone go out of their way to send us a positive affirmation. Wouldn't it be great if you were walking to the photocopy machine and a random co-worker pulled you aside to say (in a non-sketchy manner,) "I really like the way you hold yourself!" or if you were in line at Starbucks and one of your fellow patrons tapped you on the shoulder to remark, "Those shoes look great with your outfit!" I suppose this could be extended to less superficial compliments as well. Perhaps your boss might ask you to step into his/her office just to say, "You've been doing such a fabulous job at work -- I'm giving you a raise!" or your partner might turn to you during a commercial break to say, "You are the best TV-watching companion a girl/guy could ask for!" Wouldn't life be so much happier, richer and worth living? Since one obviously can't rely on the random happy affirmation for every day of the week, why not rely on your very own Affirmation Ball instead? Back when I was in college I used to depend heavily on my Magic 8 Ball to inform me of various events (would I get an A on an exam? should I go out tonight?) and it pleases me to know that the Magic 8 Ball brand has since expanded into a variety of forms, including the wonderful Affirmation Ball. There's even a version online! Having a bad day? (*shake*shake*) "At least I love you." Ah...life is good. In an effort to raise awareness for breast cancer research (in addition to raising some money) Harvard Square has been transformed into a Pink-filled oasis of ribbon, shop displays and signature pink drinks. 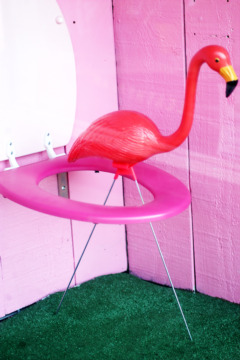 Have you spotted any Pink Flamingos out and about? If you do, feel free to steal the little bird and take him (or her) wherever you like. It's all in the name of science! A recently started blog, Darling Drinks, has begun to showcase some of the pretty pink concoctions promoted at various bars around Harvard Square. If it's for the greater good, why not have a drink? Propose a fool-proof strategy that will ensure all prisoners have been through the interrogation room. There is something very alluring about gemstones. Maybe it's the way they sparkle or the significance of their weight in your hand. 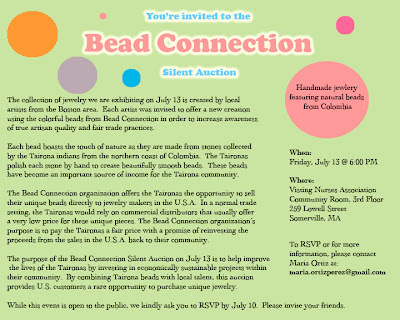 For my birthday I got a string of gorgeous beads cut from all kinds of stones. I'm not sure what I'll do with them just yet. 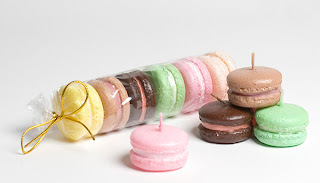 I am very tempted to wrap all of them as they are around my wrist, but maybe that's too decadent? Limoges (Lemòtges / Limòtges in Occitan) is a city and commune in France, the préfecture of the Haute-Vienne département, and the administrative capital of the Limousin région. 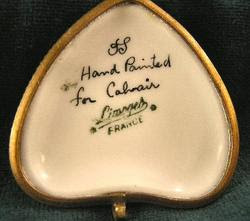 Limoges is known worldwide for its medieval enamels (Limoges enamels) on copper, for its 19th century porcelain (Limoges porcelain) and for its oak barrels (Limousin oak), which are used for Cognac production. 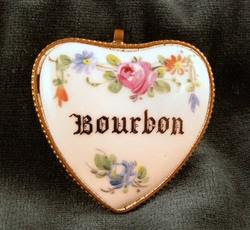 I ordered a couple of these hand painted porcelain hearts so we'll see how they turn out! Before moving to Cambridge I used to get up early in the morning, catch the C-line to Cleveland Circle where I would then catch the 86 bus to Union Square. Why, one might very legitimately ask, would anyone willingly get up early on a Sunday morning to take a nearly hour-long trip to Somerville? The answer is Neighborhood Restaurant. I now live within walking distance of this wonderful Portuguese breakfast spot so there's no need to spend the bus fare or get up quite so early. What is so special about this restaurant? It's all in the food. Arrive early on the weekends or you'll be spending most of your time waiting on the sidewalk. There are no reservations and there is no hostess waiting at a greeting desk. You simply walk up to the front door and sign in your name on a sheet of paper, grab a cup of complimentary coffee and a pastry and wait your turn. Once inside the tiny restaurant (or the outdoor grapevine covered patio open only in summer) you will be faced with the daunting task of choosing your breakfast. You can't go wrong with any of the standards, although I usually opt for one of the specials (Belgium waffles with strawberries and whipped cream or lox eggs benedict.) Be forewarned, a seemingly harmless order such as pancakes comes with what looks like a second breakfast. All meals are served with fresh unlimited coffee or tea, fresh squeezed orange juice, a choice of fruit or hot cereal, homemade pastries, breads, and some of the best homefries I've had in Boston. Depending on what you order, this is often accompanied by some delicious tasting sausage and two eggs. Then you'll get your pancakes. Don't expect anything less than a no-nonsense welcome from this family run business. Neighborhood is not the place to dawdle and read the paper, someone will be ready to take your order as soon as you sit down. That being said, you will feel as though you are having breakfast at a family home. The food is filling, homecooked and amazingly good. The atmosphere is warm and friendly despite the hustle and bustle of the Sunday morning brunch crowd. Good food, good crowd, good times. You can't get more neighborly than that. The Neighborhood Restaurant and Bakery, located at 25 Bow Street, in Somerville, is open daily from 7 a.m. to 9 p.m. Call (617) 628-2151. Kookaburra licorice, imported from Australia, in my very biased opinion, is possibly the best licorice ever. I had my first taste this past year when a friend of mine brought in a bag of the Kookaburra Red. It was AMAZING. Unlike Twizzlers, which admittedly have their own appeal (more on this later,) Kookaburra Red comes in big, fat pieces that are just the right texture for munching. 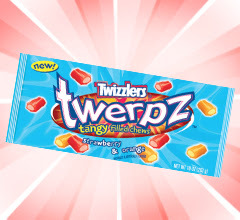 The licorice is soft and chewy with a good strawberry flavor without being overly sweet. In a matter of minutes the bag was emptied and we were left with the question, "Where do we find more?" Sadly, Kookaburra is not available in Boston (at least to our knowledge.) You can buy it online at any number of shops, including amazon.com and the Kookaburra website. Whew! While at a local Trader Joe's in Boston I came upon tubs of what looked to be a Kookaburra licorice look-alike! 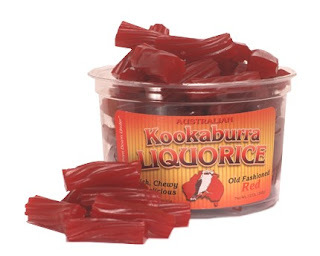 Darrell Lea makes a red licorice in the same size and shape as Kookaburra and get this, it's also from Australia! The flavor is not *quite* as good as Kookaburra, but for the convenience, it will more than suffice! I'm not sure what it is about those Australians, but they sure know how to make a damn good licorice! Here's a great 4th of July recipe from UBarbeque with Steven Raichlen. One of my good friends went to college in Wisconsin and had Bratwurst all the time. They're good on the grill and even better grilled then simmered in a beer bath! 1. Set up your grill for indirect grilling and preheat to medium. This works best in a charcoal grill. 2. Arrange the bratwursts on the grate over the drip pan. Toss the wood chips on the coals, half on each mound of coals. Cover the grill and adjust the vent holes to obtain a temperature of about 350 degrees. Smoke-roast the sausages until golden brown and cooked through, 30 to 40 minutes. 3. Meanwhile, combine the beer, butter and grilled onion slices in a large grill-proof pan large enough to accommodate all the brats (I like to use a large aluminum drip pan.) When the brats are cooked through, transfer them to the beer bath, then put it on the grill. 4. Keep the brats warm in the beer bath as long as you like, replenishing the fire with a couple extract coals on each side if needed to keep it smoldering. 5. Serve the brats as they would in Wisconsin, on hard rolls with yellow ballpark-style mustard, or do them up BBQ U®-style, with brown mustard, grilled onions and peppers and sauerkraut on a cut-up baguette. NOTE: Even if you're a diehard gas griller, I recommend investing in an inexpensive, charcoal-burning kettle grill. It's very difficult to get great smoke flavor from a gas grill. Candeloo lights are my new useless household item of choice! 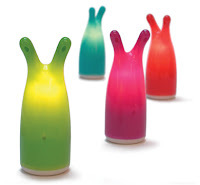 Designed by Andreu Oaika in 2002 these magical, rechargeable lights are sure to inspire even the most grown-up almost-grown-ups among us. We use our little lights (affectionately nicknamed, 'the slugs.') for those times when we can't be bothered to turn on the lights for that late-night bathroom trip. 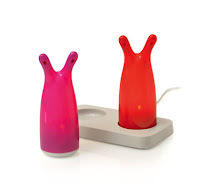 The nightlights are also particularly helpful in the event of a blackout as they automatically turn on when they are disconnected from their powersource. So maybe my favorite useless household item isn't so useless after all!? I did my best...but sometimes your best just isn't good enough. I ended up hand wiring the beads to silver coated rings and stringing them on silver plated chain. The round beads were made into nice long necklaces (suitable for summer outfits) and the orange and yellow beads were put onto vintage-y brass chain and paired with vintage yellow glass beads. I'll hand them over to Maria and hope that someone decides to fork over the $10 for charity. 1. In a jar, stir together 1/3 cup medium-course ground coffee and 1 1/2 cups water. Cover and let rest at room temperature overnight or 12 hours. 2. Strain twice through a coffee filter, a fine-mesh sieve or a sieve lined with cheesecloth (I just used my little french press.) In a tall glass filled with ice, mix equal parts coffee concentrate and water, or to taste. If desired, add milk. This recipe is really hard to screw up. I added way more water than the recipe called for and didn't dilute down the next morning. The coffee came out perfectly - flavorful, without any bitterness. A great way to start off a summer morning!